Local Partner, Jeantet. Illya Tkachuk specialises in investment projects, cross-border transactions, corporate and M&A, foreign investments, securities, contractual and labor law. He has broad experience in structuring and implementation of foreign investment projects metallurgy, renewable energy, insurance, telecommunication, food production, farming, start-ups, establishing joint ventures, corporate restructurings, securities, contractual and labor issues. Jeantet, a leading French international law firm, launched its office in Ukraine in November 2015 by taking over a very experienced team of lawyers under the supervision of Karl Hepp de Sevelinges and Bertrand Barrier, both of whom have been present in Ukraine since 2006. Jeantet Ukraine makes it easier for foreign investors as well as local companies to do business in Ukraine and navigate its market. First-rate legal services are provided to clients in an often unstable legal and regulatory environment while promoting the firm’s best international practices. The client-focused approach and quality service are evidenced by the large number of successful deals and transactions closed by the firm since 2006, when our team first got together. 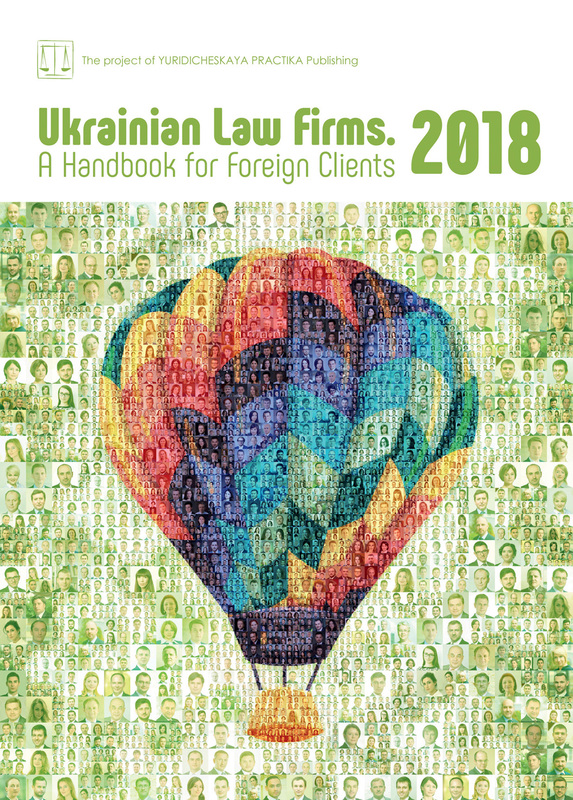 As a testament of dedication to its clients as well as extensive knowledge and experience, Jeantet Ukraine is regularly ranked by international industry guides, while some of its lawyers were featured as leading experts in their respective fields. The firm’s main focus of expertise is Agricultural Law, Banking, Finance and Capital Markets, Banking, Finance and Capital Markets, Bankruptcy Law, Competition and Distribution, Employment Law, Energy — Environment, Intellectual Property, Telecommunications, Media & Technology, Litigation and Arbitration, Mergers, Acquisitions and Privatisations, Public Procurement, Public-Private Partnerships, Real Estate, and Taxation. Our lawyers advise in Ukrainian, English, French, German, and Russian. The agricultural sector continues to be one of the most active ones in Ukraine. On the one side, big Ukrainian players are trying to strengthen their position on the market and, on the other, more and more foreign investors are looking closely at farms in Ukraine. Looking back at the last few years, we can note that the number of M&A transactions in the agricultural sector is rather high compared to other sectors of the Ukrainian economy, although their value leaves much to be desired. It is already common practice that investors try to reduce the scope of due diligence prior to entering into M&A transactions, if not to skip this step completely in exchange for appropriate representations and warranties in transaction documents. This trend is an exception for M&A in the agricultural sector due to its peculiarities. This article is aimed at summarizing such peculiarities, which we observed based on our experience of conducting due diligence of agricultural companies in various regions. Frankly speaking, the variety of business forms in which agricultural companies exist is rather limited. Apart from conventional limited liability and private companies, which are in most cases rather modern (or modernized) farms, there are also cooperatives (mostly production type) and farms (fermerski hospodarstva). In rare cases we came across farms that existed in the form of a joint stock company, a partnership, a foreign company, a subsidiary company, or a family company, but in each case there was a particular reason for that. Needless to say that the peculiarities of each business form may affect the due diligence request list, as well as the entire transaction. As an example, not all companies have share capital which can be sold in a similar way to a limited liability company, which should be properly reflected in a sale and purchase agreement. Another example is agricultural production cooperatives, which may not be bought by legal entities. Indeed, this form was reserved by law for individuals who would like to coordinate their efforts and physical work in agriculture. One of the issues which are often identified during due diligence is imprudent, or even unnecessary, corporate restructurings. Sometimes, shares in a farm are transferred several times within the same group or the same family. Quite often such transfers are not accompanied by the necessary spousal consents and waivers of rights of first refusal. Another common occurrence is a merger of different farms within the same group, which due to the friendly nature of the restructuring is not always properly formalized. In principle, each violation which creates, or may create, a risk should either be remedied or covered by a warranty. Needless to say that the best option would be to remove such violation before the signing of the sale and purchase agreement. However, in most cases, due to the tight time schedule of the transaction there is no room for it to be remedied. Taking this into account, it is common practice when all such violations are written into transaction documents as conditions precedent or post-closure conditions. Land constitutes the main asset for farms cultivating plants and crops, and an important asset for livestock farms. In most cases a farm leases the land from numerous individuals or from a local municipality. After February 2015, the auditing of land lease agreements became less rigorous as the scope of essential conditions required for the validity of the agreement was substantially reduced. In practice, land lease agreements usually contain a number of errors and omissions. However, when a farm has lease agreements for the entire cultivated land, then the farm is considered as operating under a so-called “white flag”. It is worth noting that the farm may also cultivate the land under “grey” and “black” flags. This is a pure practical flag legend for identification of the legal ground of the farm for using the land. According to this legend, a “grey flag” means that the farm does not all of the necessary documents to the land (or that the documents are improper). For example, there is a decision of the local municipality to lease the land to the farm, but the lease agreement has not been signed yet. A “black flag” means that the farm has no documents to the land at all. This, for example, could be reserve lands which are not actively used by the state or municipality. When selling their farms sellers usually talk about the entire land they use without specifying how formalized their relations with the lessors actually are. Therefore, it is important to clearly identify, during due diligence, all categories of land used by the farm. Another important issue is the designation purpose of the land. It happens, in rare cases, that the farm uses non-agricultural land for agricultural purposes. This should be given careful consideration when evaluating the target’s land. Another important issue is the neighbourhood of the farm, regardless of its size. The importance of this issue is due to the fact that the main asset of each farm is land, whereas in many cases this land is leased from individuals under short-term land lease agreements. Knowing that every 3-5 years the farm must prolong some of its lease agreements, it is important to know neighbouring companies which may potentially compete to lease the land. It is apparent that the risk of potential local competition for leasing a land plot from a small privately-owned farm is different when the competitor is a large agricultural holding. Apparently the issue of neighbours does not fall under the scope of due diligence. Nevertheless, scrutinizing land lease agreements and disputes may reveal negative relations with neighbouring companies. Real estate very often constitutes an important asset for a farm. There are normally two main problems relating to real estate. Namely, the absence of legal grounds for use of the land underlying the buildings, and improper documents relating to the reconstruction of these buildings. Also, it is often the case that a farm constructs new facilities on its territory without any documentation relating to the construction and commissioning into use. As for machinery and other movable assets of farms, the situation is even worse, especially for farms created on the basis of the property of entities established during Soviet times. Indeed, such farms usually have no title documents to such assets. Another common problem is payment for small assets with cash, which again makes it difficult to confirm the title to such assets. In rare cases, we observed instances when assets belong to the owners of a farm and are leased to the farm with or without an agreement. It is worth bearing in mind that the vast majority of farms require certain permits. These can be breeding certifications, permits for water usage, permits for use of mineral resources, permits for emissions and waste allocation, etc. It is also quite common that a farm either does not have certain permits or violates the rules attached to them. Needless to say, this is an important issue to check during every due diligence. When conducting due diligence, labour issues have never been the most important in Ukraine. This can be explained by several factors including, inter alia, the laws that still linger from the USSR, the insufficient clout of trade unions and the low level of education of employees on how to protect their rights. Nevertheless, we often observe numerous errors and omissions in the labour documentation of farms which can be explained by the low level of education of personnel, especially in small villages. Particular attention should be paid to seasonal farm workers, who are often taken on without regard to the special status granted to such employees by law. Environmental compliance is not common for all farms but for some it is crucial. Although environmental compliance is much broader by its nature, for the purpose of this article it is limited to waste treatment/recycling. In most cases, farms do not treat or recycle waste themselves but subcontract these services to a specialized company. Therefore, reviewing agreements with such a specialized company should be the starting point for the environmental section of due diligence. Most farms operate on a seasonal basis, a factor that has substantial impact on its contracts. First of all, the duration of most supply contracts will be limited to one year. Secondly, contracts will be signed at various points through the year. If we take a crops farm as an example, then in most cases contracts for the acquisition of seeds, chemicals and other ancillary products will be signed at the beginning of the year, whereas contracts for selling produce will be signed in the second part of the year. Therefore, in the event that the due diligence takes place in winter there is an explanation as to why the farm has no contracts for selling its output. Also, an important point to check will be efforts taken by the farm for cultivation of the land and winter crops. The agricultural sector in Ukraine has its own peculiarities, which should be considered in the course of due diligence. Regardless of the issues which can be identified in the course of due diligence, the main purpose it is to get accurate information about the target and prepare a list of issues which should be remedied before or after the transaction.